4. 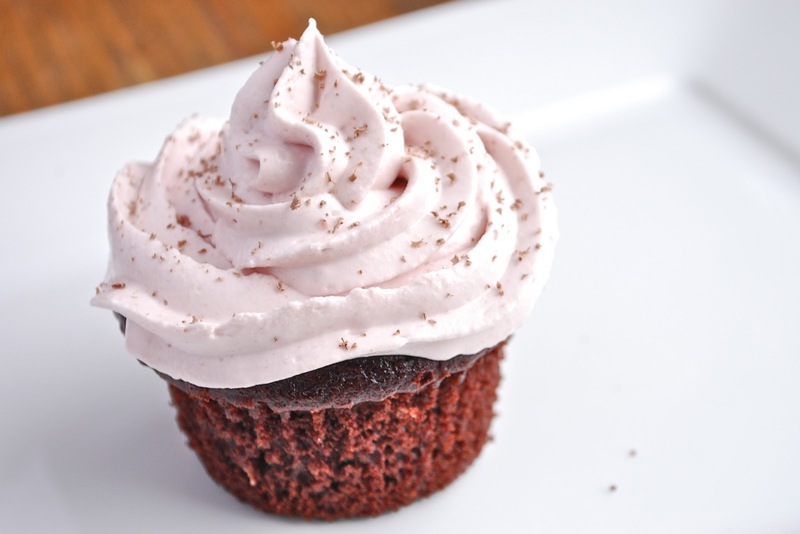 To make the frosting, whip the cream cheese until light and fluffy (about 2 minutes at medium to high speed). Add the vanilla and whip thoroughly. Add the raspberry jam (make sure it is seedless!) and whip until well combined. While the mixer is on low, add the icing sugar gradually. Once icing sugar is well combined, fold the whipped topping into the raspberry mixture. 5. Frost cupcakes as desired. Decorate the top of the cupcakes with bittersweet chocolate curls. yum! Love the flavor combo! How many standard cupcakes does this make? They look soo good!